Hi my loves! Super happy to be sharing this video next video with you, showing how I do my face massage! This is such a nice little pampering treatment to do on yourself a couple times per week, and besides the fact of feeling so amazing and relaxing, it has so many benefits for your skin and overall health of your face and body. Stimulating and promoting blood flow to your face using these techniques is super beneficial for promoting healthy, vibrant and glowing skin by increasing oxygen and nutrients to your cells, helping to produce collagen which is great for anti-aging, smoothening and preventing wrinkles, reducing puffiness, defining your features, as well as helping to gradually fade scars and dark spots. I also share some of my other little tips and advice on how to get the most out of your massage. I hope you find this video helpful!! … relax and enjoy all the benefits!! Thank yourself for taking time for YOU! It doesn’t have to be done exactly this way or in this order, however this is my preferred way :) Do what feels good for you, but focus on promoting circulation and stimulation to your face. Remember to drink water BEFORE & AFTER massage. It will keep you hydrated and will allow the additional toxins just released to be transported easier out of your body after the massage. Also pay attention to your breath, make sure you are breathing in and out deeply and relaxing your entire body. 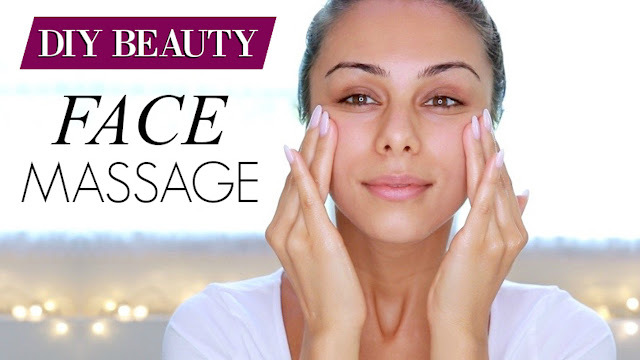 This face massage is of course amazing for your face and skin, but it is also relaxing and super beneficial for your whole system, including your digestion, nervous system and overall mood and anxiety level. I started watching YouTube videos during late 2012 when I was a complete illiterate in makeup and beauty...and u were the 2nd youtuber to whom I subscribed. Good.. can be done daily..
along with proper motions reminiscent of the Thai massage, tuina, shiatsu and reflexology to seek release muscle tension, relax the nervous system and create a positive energy flow throughout the body.